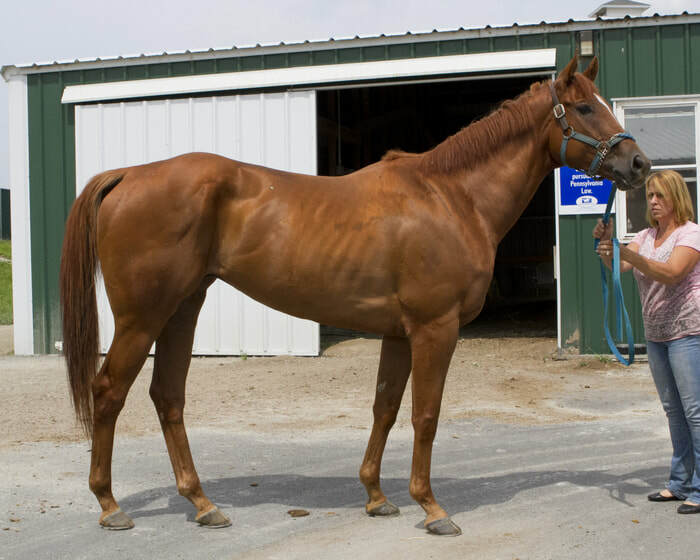 Information about horse: Duke retired sound from the track. He has had plenty of down time and we are starting him in his new career. He has been ridden under saddle and is proving to be advanced beginner friendly. Very sweet and kind horse. Duke is a mild cribber but easily controlled with a collar. Adoption fee to increase with training.